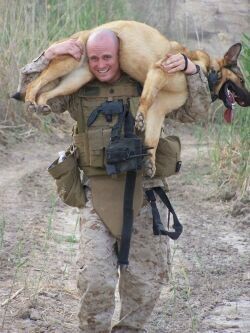 USMC combat veteran, Lucca and his/her handler, Afghanistan. I have to take care of some things here at home today. I’ll see everyone this evening. Have a great Sunday.